Handwara, Mar 9, : Hundreds hailing from all walks of life joined AIP’s march in Handwara on Friday against the ban on Jama’at-I-Islami and illegal detentions all across the valley, said AIP spokesman in a statement. “Protesters holding play cards in their hands were seeking revocation of the ban and an end to state suppression,” the spokesman in a statement said. Later addressing the gathering at main chowk Handwara Er Rasheed urged Union Government to reconsider its decision and not to chock space for the voice of descent. “While Delhi always talks of a peaceful resolution to Kashmir dispute but whatsoever is being done on the ground is nothing but an act of muzzling all those voices who dare to speak the truth and talk about a resolution to Kashmir dispute. 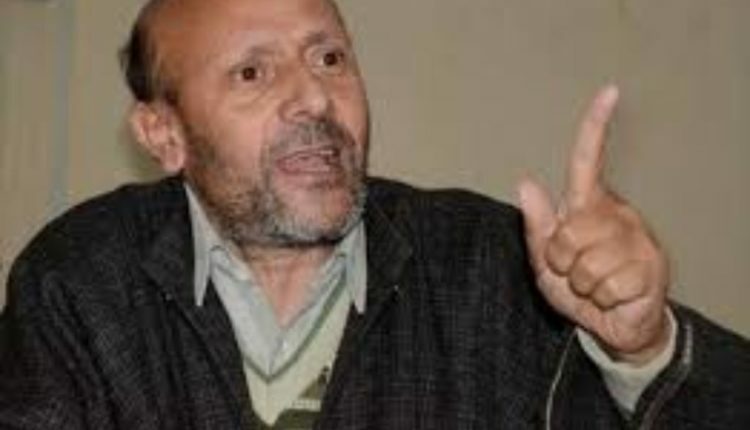 If Delhi is adamant to chock the space for peaceful political activities it will yield nothing except anarchy and distrust between New Delhi and Srinagar,” said Er Rasheed. Er Rasheed appealed Prime Minister Narendra Modi not to continue with the ongoing Kashmir policy and said that sooner or later Delhi has to talk to Kashmiris for a peaceful and durable resolution to the dispute as the resolution to the dispute will benefit not only Kashmiris but the entire subcontinent. Er Rasheed alleged that all those arrested across the state during past one month are not being released despite court orders and appealed administration not to humiliate and torture Kashmiris.